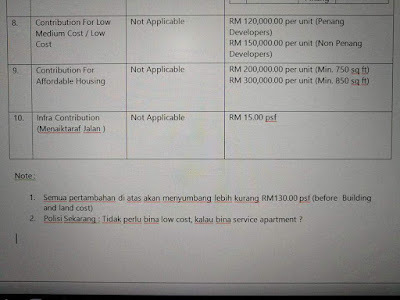 Kenapa Harga Rumah Di Pulau Pinang Naik Tinggi Sangat? 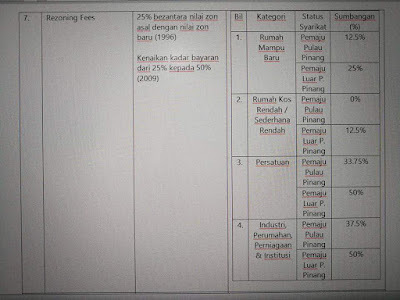 Saya paparkan maklumat berikut untuk membuktikan bahawa antara sebab mengapa harga rumah di Pulau Pinang mahal adalah kerana 'charges' atau kenaan yang perlu dibayar oleh pemaju kepada kerajaan negeri, yang kemudiannya dikenakan oleh pemaju keatas pembeli yang membeli rumah. 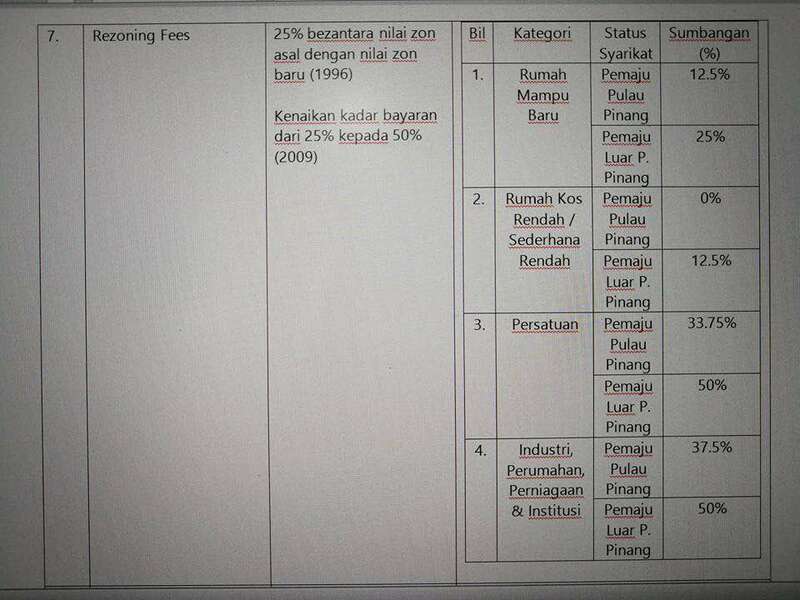 Kenaan/Charges ini akan menyebabkan kenaikan kos dalam lingkungan RM 120.00/kaki persegi bg setiap rumah. 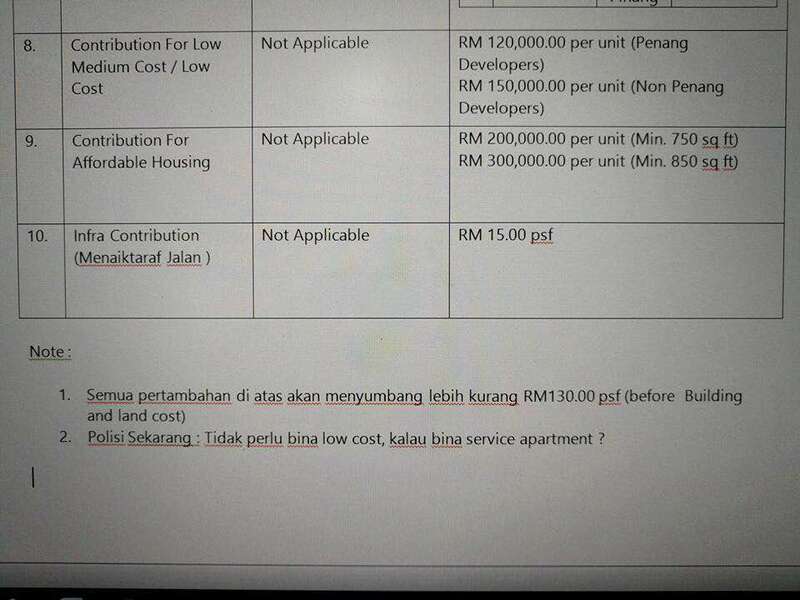 If you are from Penang and you are asking why Penang property prices are as high as in the Klang Valley even though the average household income is half of there, this is your answer. The amount of times and the number of multiples that the DA Penang Govt had increased their charges to developers since 2008 in order to fund the state govt's 500% increase in annual operating expenses is staggering. Development charges which were previously RM5 per sq ft for residential projects are now RM15 per sq ft while development contributions such as for drainage, parking, community facilities, infrastructure and low cost housing have also more than doubled or tripled. In the tables he shared, drainage contribution have increased from RM10,000 per acre to RM50,000 per acre, car park contribution from RM15,000 per bay to RM25,000 per bay, community facilities contribution RM25 per sq ft to RM500 per sq ft and low cost housing contribution of RM120,000 for Penang developers or RM150,000 for non-Penang developers while previously there were no such contributions. 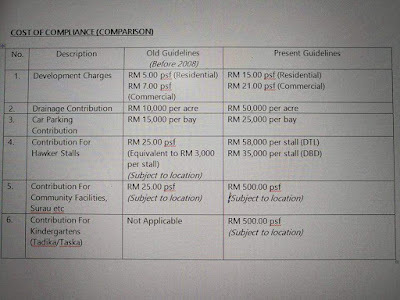 “These increased charges caused the increase of costs to about RM120 per sq ft for each unit of housing,”. 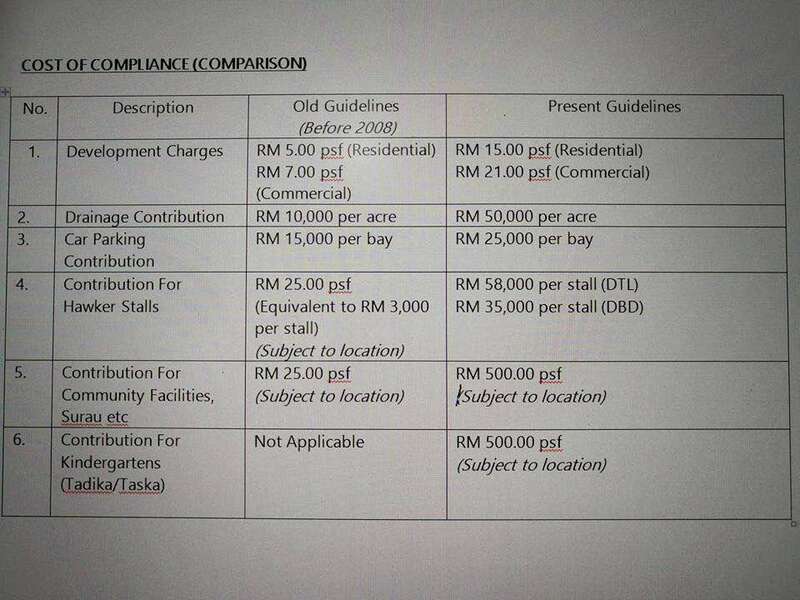 Developers will simply pass the increased charges from the DAP Penang Govt to the property buyers.